Rich in craftmanship, this toy box makes a special birthday gift for your child! What better way to teach your child how to keep things organized than with their own personal toybox? Our beautiful handcrafted Oak finish toybox features their name (up to 8 characters) in raised Maple Vegabond lettering, solid wood construction, and double lid supports for safety. For additional toy chest styles including personalized versions click Toy Boxes to see our entire collection of toy chests and toy storage. You can also upgrade your toybox with an aromatic eastern tongue and groove cedar base. Simply choose that option below. Easy assembly, only a screwdriver is needed! Please allow two to three weeks for your toy box to be handcrafted to your specifications. Shipping: If you require expedited shipping, please call for rates. Our Dream Toyboxes by Wood Creations, Inc. are crafted from 100% real wood. We do not use MDF or particle board. Our Oak toyboxes have solid oak corner posts and veneered oak panels with solid oak trim. The cherry and espresso toyboxes are made the same way as the oak using birch wood instead of oak. Our bamboo toyboxes are 100% bamboo which is renewable and durable! The core of the toychests is furniture grade wooden veneer core. The oak and bamboo toyboxes are lightly stained with a warm amber color. 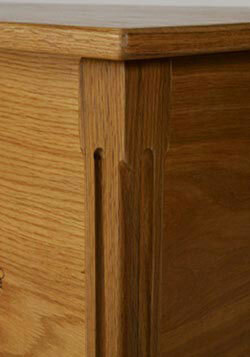 The finish would be best described as a natural oak finish. 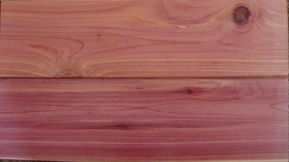 The cherry is a deep reddish color through which the grain can be seen. The espresso is a few shades away from black so that the grain can still be barely seen through the finish. True espresso is so dark that the grain of the wood can not be seen. All toyboxes have a 3 layer topcoat which is environmentally safe and lead free. If you plan to store blankets, linens or other clothing consider adding our optional cedar base. Lid Safety - Is the Toybox Safe? The first thing you want to consider when buying a toy chest is safety. A lid support system should keep the lid open, no matter what position the lid is in. This means that whether the lid is open all the way or just a few inches, the lid will not close unless it is physically pushed down. Toy Boxes in the Dream ToyBox line offered here feature double lid supports which are positioned in the center of the toy box. The toybox lid does not slam down when lifted up. Whatever the lid position is left in it will stay there until actually pushed into the next position or a closed position. This design protects little fingers and insures that little heads are not accidentally hit by a lid. The lid support system used by our Toy boxes are the same system recommended by the Consumer Product Safety Commission (CPSC). Parents and grandparents can rest assured knowing that little fingers are safe from lid slams. Additionally a child can not crawl in the toy box and get trapped by accident. Should a brother or sister close their sibling in the toy box there is adequate ventilation for safety until a parent finds the child. Our toy chests are guaranteed for 60 days no questions asked. In other words if anything is not right with the toybox we will make it right with replacement parts or a refund will be given. The wooden parts of the toybox have a one year guarantee from warping and manufacturing defects. 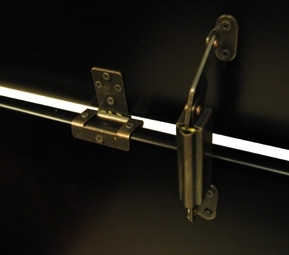 Our hinges and lid supports have a lifetime guarantee. If they break for any reason they will be replaced at no charge. Dream Toyboxes come ready to assemble. You will need a regular and Phillips screwdrivers and 15 minutes of your time. Wood Creations provides easy to read instructions with photos. Turn around time from ordering to delivery is approximately 2 weeks.Sorry our toy boxes can not be shipped to P O Boxes, Hawaii, Alaska, and Military Addresses such as an APO or FPO. Toyboxes are shipped via UPS or Federal Express Ground (3 - 5 business days). If you require expedited shipping, please call for rates. *Canada Shipping - $105 includes taxes and duties.